This one’s easy, because we only ever bought five things at cons. These make us sound a lot richer than we were, but we saved for the cons, and one of them was over the Easter weekend, and we got a couple of bucks from our families as “Easter presents”. 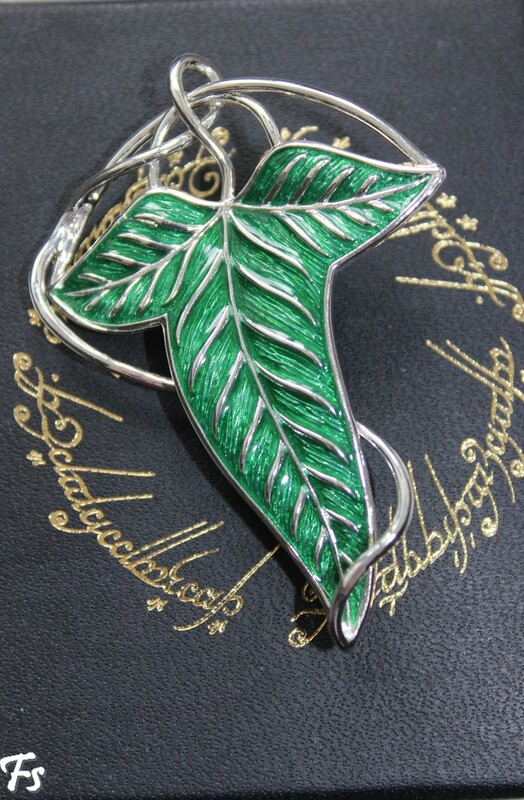 We both bought the brooch at HobbitCon, so we are now both proud owners of a leaf from Lothlorien! Frodo already had one, and I’ve wanted that pendant since I was 10, and, lucky me, they sold them at HobbitCon – and for less than a third of what it usually costs. 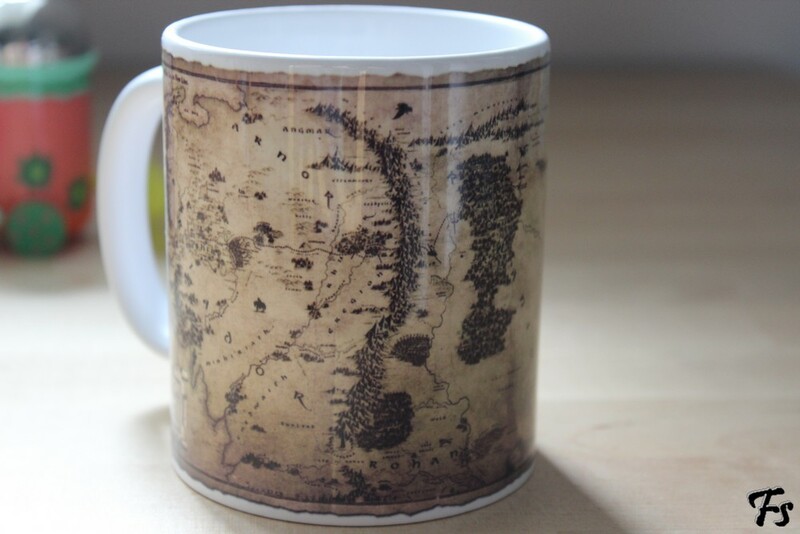 …with the map of the Shire on it. Love that mug. 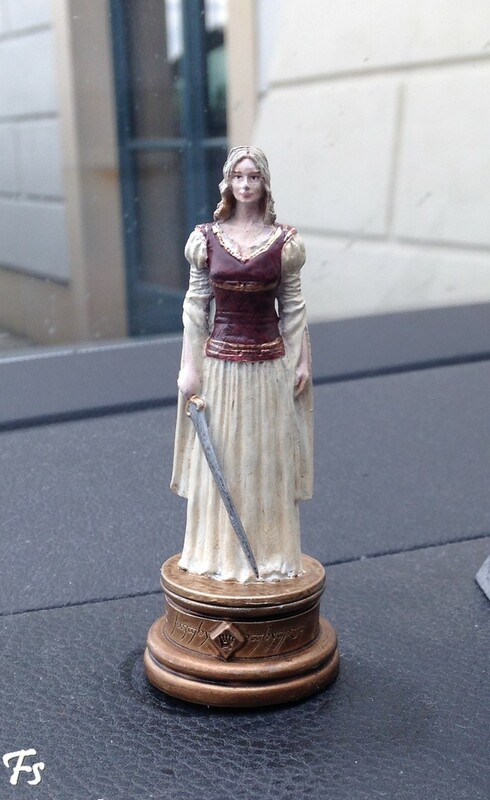 I got a tiny Éowyn figure at HobbitCon that is now sitting in my car. Or standing in this particual case. 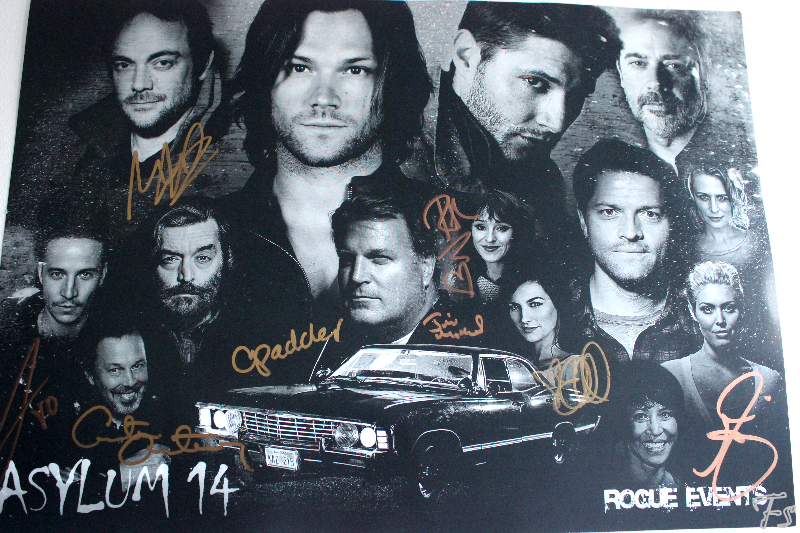 We only bought that because we had nothing else to have the cast sign, and most of the autographs were for free. Yes, spot on -love every item! Oh my word. 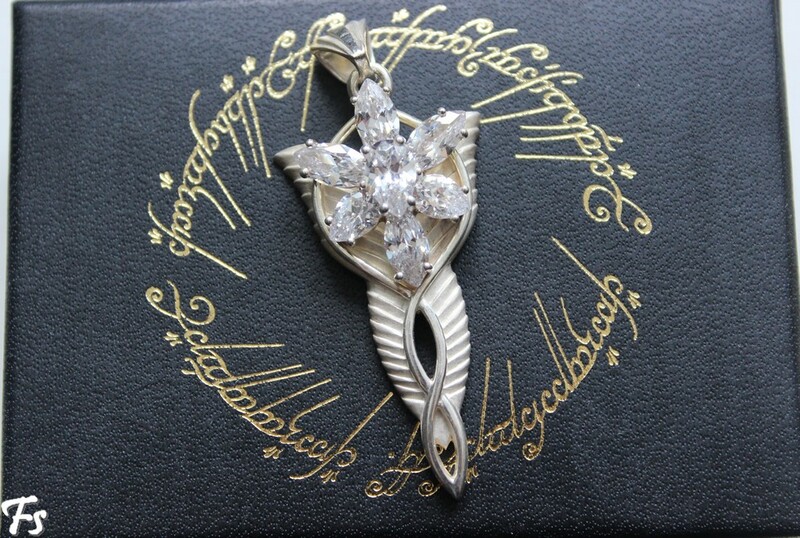 That Evenstar is beautiful! It is gorgeous, for sure! Items #1 and 2 are beautiful! This is like the greatest thing ever! I have always wanted an Evenstar (seriously Sky Mall gets me all the time)… ah I love them all!